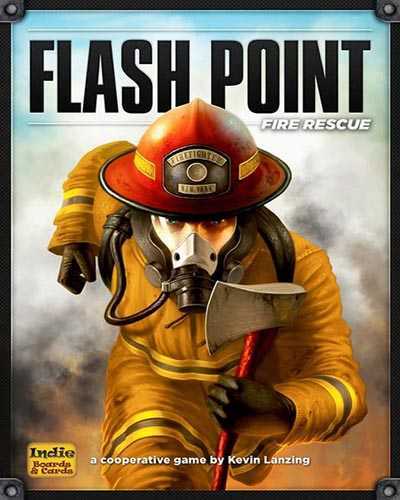 Flash Point Fire Rescue is a Strategy and Casual game for PC published by RetroEpic Software in 2018. Save lots of lives as firefighters. Leadership of a fire station is in your hands during this game. You have to manage your firefighters perfectly to help people. We got the call, a building is burning and there are people trapped inside. Fire is spreading and time is running out. We’ve had reports of explosions and the whole thing can come crashing down at any moment. You know the job: get those survivors out of there. Flash Point Fire Rescue is a turned-based strategy game that places you in command of a squad of specially trained firefighters with the sole aim to rescue survivors form a raging structural fire. Your team will need to make the most of each turn using limited action points and specialized abilities to explore the environment, tame the volatile fire and rescue the survivors before the building is reduced to rubble. As the official digital adaptation of the acclaimed board game from Indie Boards and Cards you will experience the same excitement and challenge of the original in a light-hearted digital form. Coordinate your team as they identify and treat survivors, get distracted by false alarms, hold back the flames, dispose of hazardous materials and do their best to avoid explosions. Each member of your squad brings a unique blend of skills that you will need to carefully apply as you adapt to the ever changing scenarios. Quick to learn with a Family Game mode that reduces the games options for an easy introduction for beginners before they test their tactics in the Experienced Game modes. Enlist family and friends to join the squad and pull the survivors back from the brink. 1 Comments ON " Flash Point Fire Rescue Free Download "